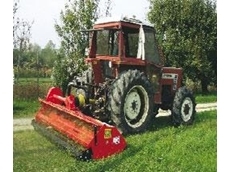 Stocker-Crew distributes all manner of mower machinery for Vegetation and Grass Maintenance, Tool Carrier Tractors, Front PTO & 3 Point Lifters for Agricultural Tractors, Switching cooling fans and other mower accessories / mower implements. 01/08/08 - Recycle & Composting Equipment is a leading Australian distributor of recycling equipment. 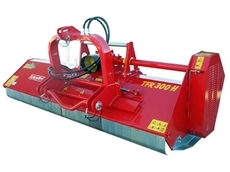 Waste disposal machinery that can be used across various industries is available at Recycle & Composting Equipment. 30/07/08 - Recycle & Composting Equipment is a recycling equipment distributor. Recycle & Composting Equipment provides a broad range of machinery that can be used in various industries such as agriculture, horticulture and poultry. 23/07/08 - Stocker-Crew provide switching fan, edger and safety flail mowers. The switching fan kits manufactured by Cleanfix are supplied by Stocker-Crew. 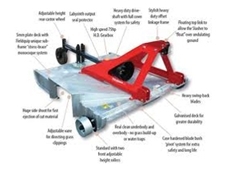 The Cleanfix decreases the angle of the blade and makes engine power the useable bar. 21/07/08 - Stocker-Crew offer machines for grass and vegetation maintenance, front PTO and three point lifters, tool carrier tractors, switching cooling fans and mowing implements. 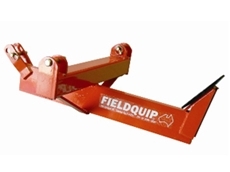 All these products from Stocker-Crew are manufactured according to Australian standards. 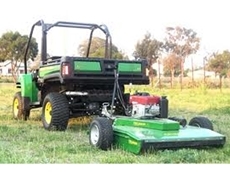 11/07/08 - Glenmac Sales and Service supplies a complete range of used equipment which includes balers, lawn and garden equipment, commercial mowing equipment and air drills and seeders.